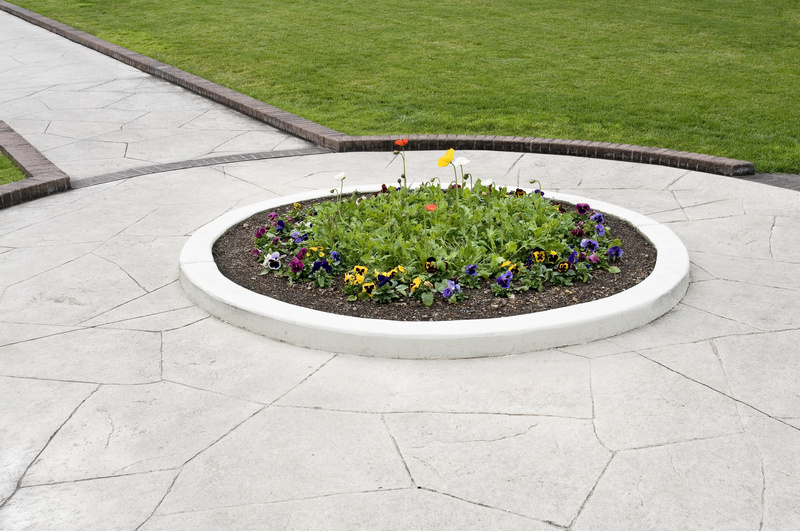 With dyes and stamps, you can transform your concrete. Ask us how to add a base color at the plant to your concrete. The base color is throughout your project, accenting the unique features of your home or business. At the job site, you can apply a secondary color to add definition and depth. With stamps, create texture and patterns in your concrete. Popular options include stamps that create the illusion of bricks, slate, rough stone, and flagstone. The purchase process is that you or your contractor will inform R & R Ready Mix which color you have chosen from color charts provided by Decorative Concrete. From there the color will either be picked up by you the customer or an R & R employee and then transported to the plant producing the concrete. Upon mixing the concrete, our batch plant will add the color to the mix. The clean-up fee is charged because of the extreme clean up and time required to clean the mixers so that the next load hauled is not tinted from residual color left in the mixer. Available upon request. Washout fee applies. Visit Decorative Concrete for more information. Upon request, some colors in stock, colors can be ordered.